How Reliable are Wine Cellar Refrigeration Systems? 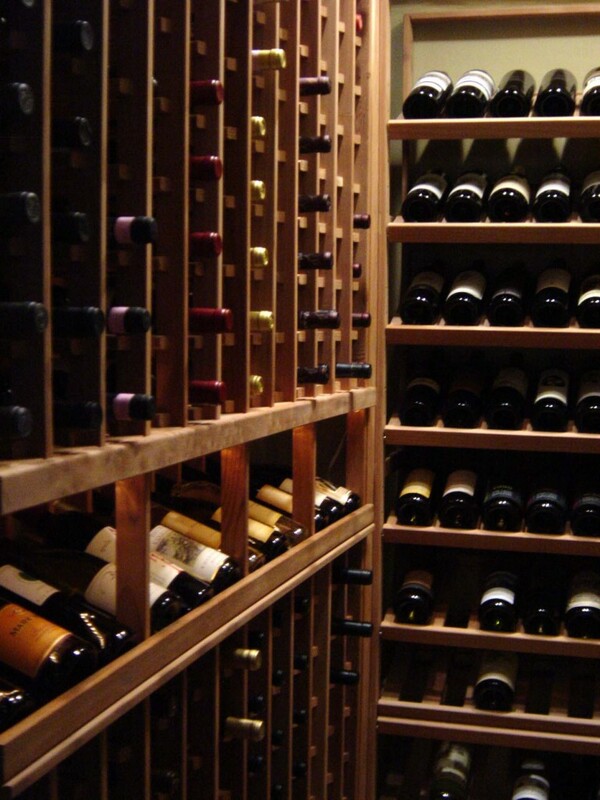 This service call to fix a wine cellar’s refrigeration system in Laguna Niguel about 55 miles south of Los Angeles is a great example of why it is so important to have a maintenance plan…. We are often asked how reliable refrigeration units are that are designed specifically for home wine cellars. The answer is that they are pretty reliable if they are maintained and serviced regularly. Most refrigeration systems that we have seen fail could have been kept in good working order had they be regularly serviced. On this particular service call, the refrigeration system had all but packed up completely. It certainly was not cooling the wine cellar to a significant degree. 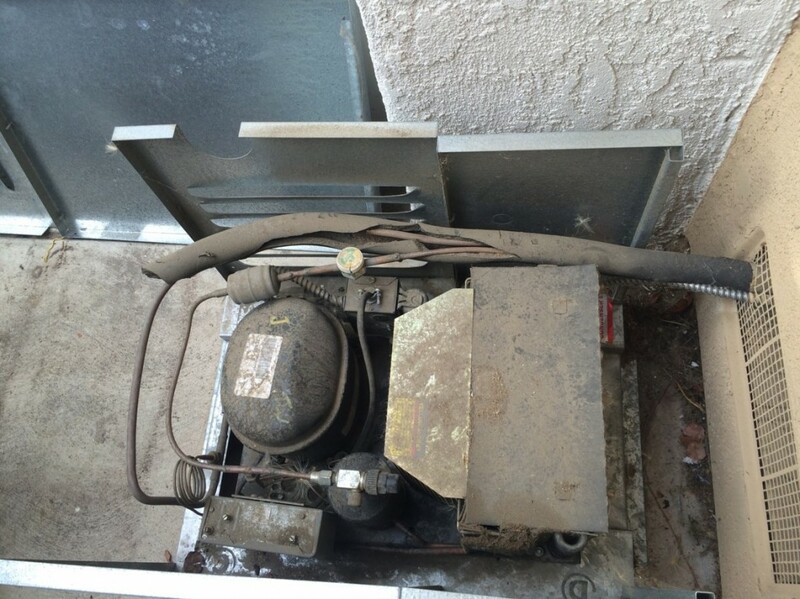 Fortunately, the refrigeration unit itself was an HS (High Static) 3600 unit from US Cellar Systems in Los Angeles. These units are very robust, ideal for residential applications where large wine collections are at stake. As you can see the condenser was really dirty, clogged up with dog hair and dirt. The owners have two pet dogs and this is one of the places where all that dog hair ends up. As the condensing units tend to get warm it is not unusual for animals to decide to hang out near them. This can happen to you even if you do not have pets yourself. Cats for example are particularly inclined to find comfortable sleeping spots around neighbors’ yards. Due to the clogged air intake, the temperature of the wine cellar had been well above the ideal 50°F to 55°F for an unknown period of time. By the time we got the call to fix the system it was clear that this had been the case for a long time. Given that this owner has in excess of 1,500 bottles of wine, this could be considered a disaster. 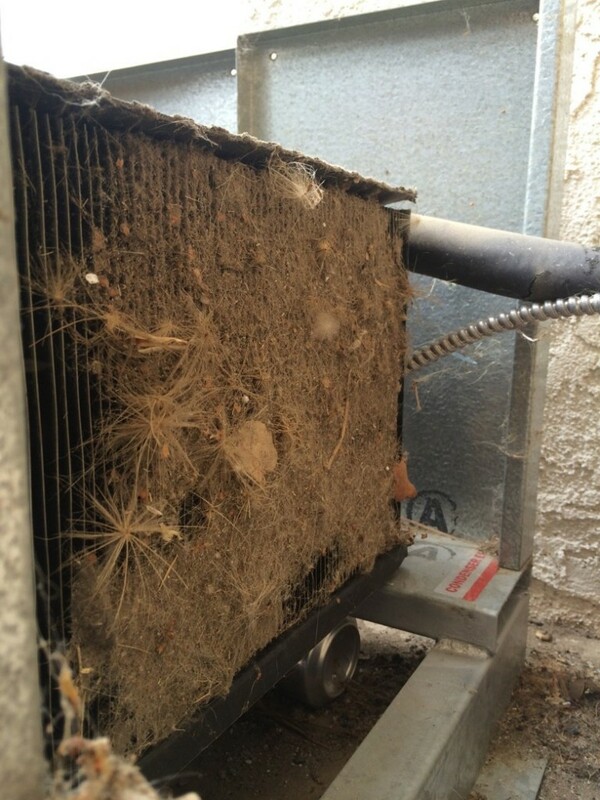 Had the system been maintained we would have noticed the debris collecting in the condenser’s air filter long before it became critical or even a significant problem. It’s actually pretty rare that we find a failed refrigeration unit that could not have been kept in good working order with regular maintenance. M&M Cellar Systems are based in Los Angeles. We offer advice as well install and service all makes of refrigeration systems within approximately 100 miles of central Los Angeles. Fortunately the HS 3600 Refrigeration Unit survived the conditions in this instance and once cleaned up the system functioned properly. There’s no question though that with a blocked air intake like this, almost all refrigeration systems will ultimately fail and need to be completely replaced. In that sense this particular residential wine cellar owner was lucky. We gave the refrigeration system a complete clean up and service and signed the client up to an ongoing maintenance plan. M&M Cellar Systems are based in Los Angeles. 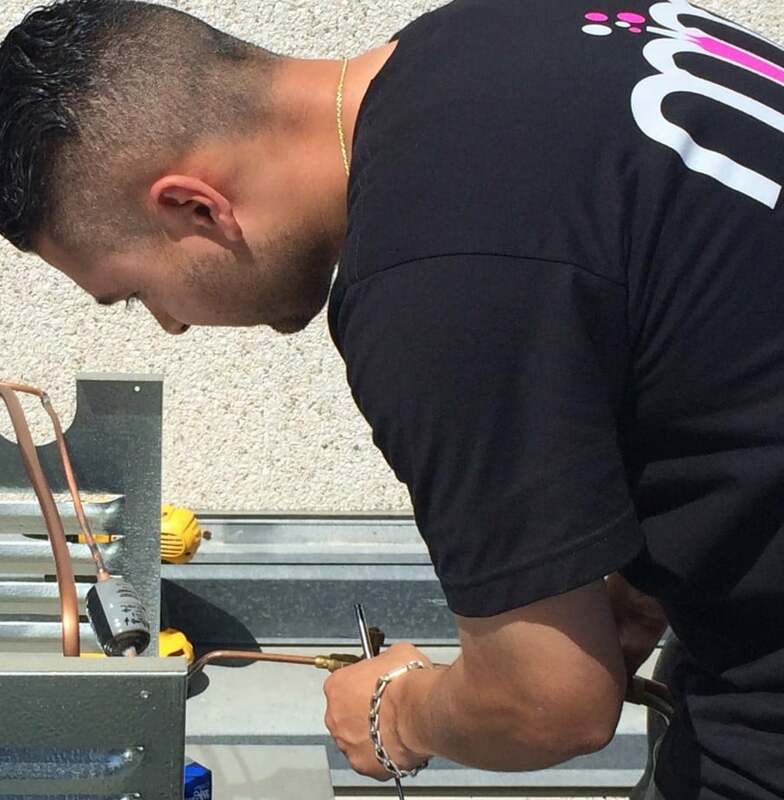 We offer advice as well install and service all makes of refrigeration systems within approximately 100 miles of central L.A. If you are considering building a home wine cellar or simply need your cellar’s cooling system serviced, call M&M Cellar Systems at (323) 578-3330 or if you are out of hours complete our Service Request Form and we will contact you as fast as we can.